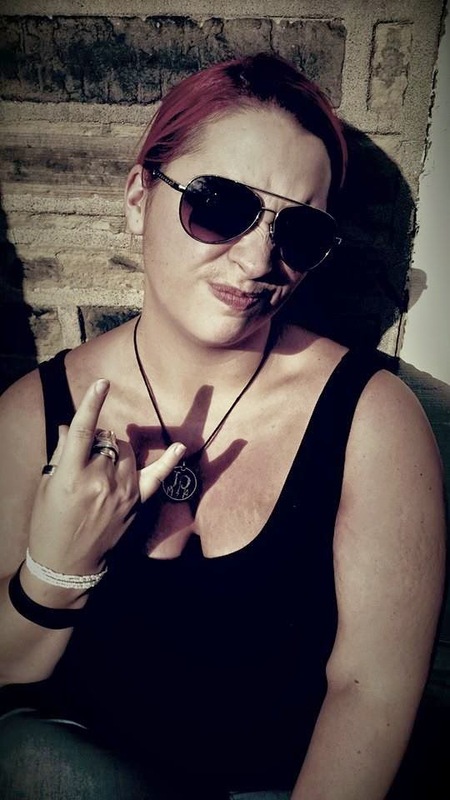 The unstoppable Jenna Hooson is taking the British blues scene by storm. Her multi-faceted vocals and energetic presence are truly unforgettable. Nominated for Best Female Vocalist at the 2012 British Blues Awards, Jenna has toured across the UK, Europe and the US, thrilling audiences everywhere with her spirited blend of blues, soul and rock. Her theatrical background provides the basis of an awesome stage presence to match her full-bodied voice. Having started performing over 15 years ago, she began belting out her own epic brand of blues at Paddy Maguire’s jam sessions at the The Bradshaw Tavern at the age of 16. The Jenna Hooson Band was formed in 2009 and quickly evolved into Hooson. For three eventful years they smashed it up all over the UK to great acclaim, and built a large and committed fan base, releasing their debut album ‘Sugar Rush’ at the award-winning Hebden Blues Festival in May 2012. The album got great reviews and recommendations by many local DJs, and was celebrated for the unique song-writing style and verve. Hooson disbanded in September 2012 to pursue individual projects. Since then Jenna has been soloing with various artists alongside Paddy Maguire. Together they have been collaborating on new material, and Jenna is busy working on fresh numbers to perform with her new line up. Venues big and small can be sure of a spectacular show with the outstanding vocal talents and extraordinary energy of Jenna Hooson. Jamie Mallender is a professional musician from Sheffield (UK.) He has performed with numerous name artists, including Tony Martin - the former Black Sabbath vocalist, and has toured the world extensively in this capacity - playing to as many as 15,000 fans at Arena shows. 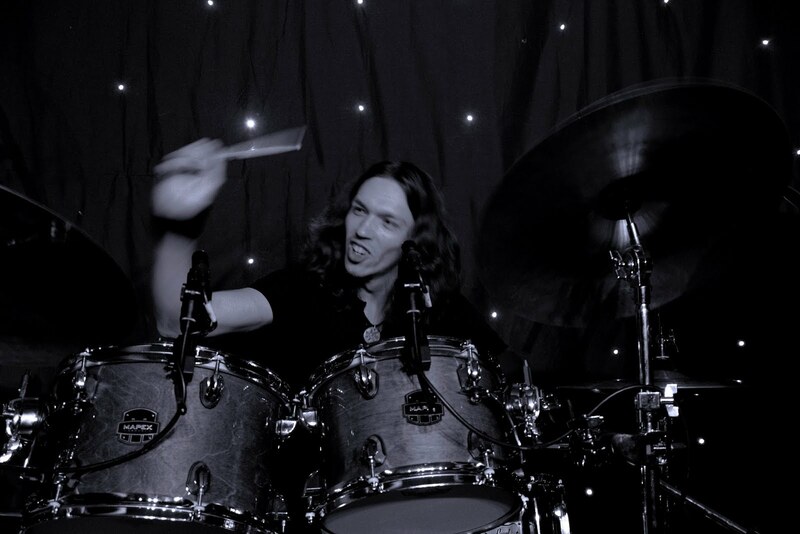 Jamie has performed with members of T.Rex, Argent, The Kinks, The Sensational Alex Harvey Band, The UK Subs, Venom, Saxon, Bad Company and Dave Berry. He plays bass for T.Rex featuring Bill Legend And Danny McCoy (www.trex-music.com) Swear Box, Paddy Maguire (www.paddymaguire.com) and The John Verity Band (www.johnverity.com) plays sessions, has his own music teaching business called The Academy Of Rock and has released solo recordings, such as the "Tunes From The Mothership" EP and bass oriented instrumental album - "Return To Bass." Jamie now uses his "Starbug Studios" for select commercial recordings as well as for his own material and recording his students. He is currently writing and recording for various projects, some of it solo material, some collaborative and some in a session capacity. Liam began playing drums at the age of 19 and after only one year of private lessons he enrolled on a Higher Diploma at Tech Music Schools (Now BIMM London) and went on to complete a degree in popular music performance. After leaving Tech Music Schools in 2014 Liam has continued to expand his knowledge of music and drumming by studying with renowned drum tutor Bob Armstrong. 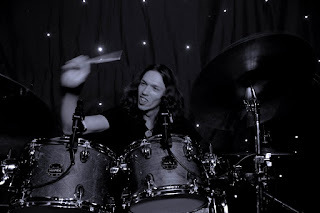 Liam currently works in a wide variety of acts in all different styles notable acts include John Verity Band (Argent, Phoenix, Charlie) Nico ZZ Band (Donald Kinsey) Paddy Maguire Band (Decadent West) and the Louise Ellen Trio to name a few. Focused and driven, Liam is always seeking to learn more about his instrument and music. Meet the band is missing a biog of Paddy Maguire. I'd like to read about him. This lineup is so tight.An all-star cast.